So you may have noticed it’s been a few months since I’ve put an episode out and there’s good reason for that: I’ve been finishing my album! And now the long awaited day has come that I’m sharing it with you. This album is many years in the making and one of the most difficult projects I’ve worked on. I started recording some of the songs back in 2014 and other songs were written and recorded as recently as a few months ago. There have been many starts and stops stops along at the way as I’ve tried to figured out what I want to say and what this thing should sound like. There’s rock songs, folk songs, piano songs, electronica songs and everything in between. There’s songs about death, grief, disagreement and anxiety, but also hope, patience and love. As I thought about what it should be called, I came up with the title, “Good Grief,” which references Charlie Brown, a character I’ve come to relate with more and more as time has gone on; someone who wears his heart on his sleeve as he experiences many of the themes I write about. It’s also an inside joke to myself about what someone might say when I tell them it took me 4 years to make an album! The artwork was done by a local artist, Travis Braun. Besides the artwork, I did everything on this album myself. I wrote the songs, played all the parts, and recorded and mixed everything in my home studio (which is partly why this took so long). 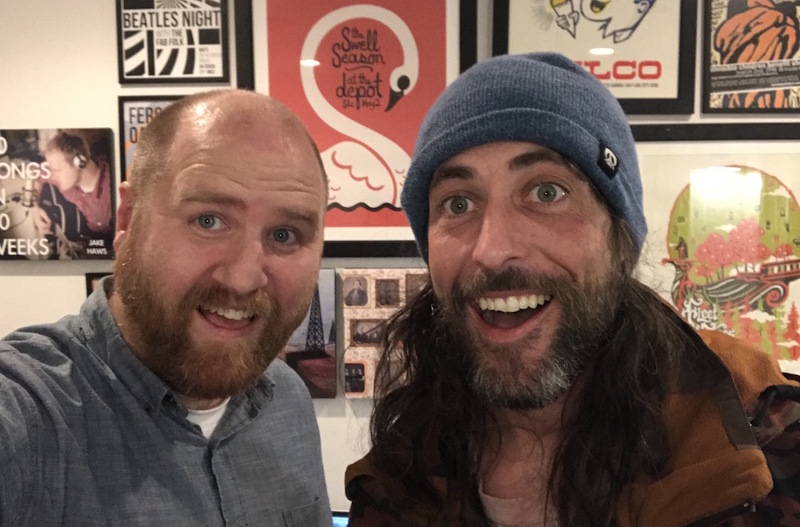 Most of these songs I’ve already shared on this podcast (at least work-in-progress versions) so I encourage you to go back and listen to those episodes if you want all the details about how each one was made. And also stay tune for future episodes on some of the other songs. Eye to Eye – This first track is one of the rockers on the album. I thought it would be good to kick things off with some high energy. It’s about desperately wanting people to see things from your point of view. Invisible – This next one is the oldest song on the album. I wrote it back in 2003 when I was a missionary in New York City. We used to volunteer at the VA Hospital and got to know some of the patients who would come in regularly. When one of the patients we became friends with stopped showing up, I learned he had passed away so it inspired the words for this song. I recorded a version of this for my 50 Songs in 50 Weeks series but I thought I could do it better so this is a sort of reworked version with a different arrangement. Elephant In The Room – This next one is another rock song. I think it might have my favorite guitar solo I’ve ever done. Even though guitar solos aren’t cool anymore, I love it anyways. It’s about how we sometimes don’t talk about the things that bother us and it turned into passive aggressive anxiety. Moving On – This next one I wrote and recorded a few months ago for a music making course that I recently became a part of. We were supposed to write a song from a list of topics and “Moving On” was the one I chose, which became the song title. It’s about keeping a positive attitude, even when the world is dragging you down. I wasn’t originally planning on having it on the album but I felt like it added a nice upbeat, positive vibe, which balances out some of the darker songs. Flawed – This next one is a folk rock song. It’s along the lines of what my old band, Adding Machines used to play. There’s mandolin and I even play the saw with a violin bow. It’s kind of low in the mix but see if you can hear it. It’s about sin and reconciliation and coming to terms with your flaws. 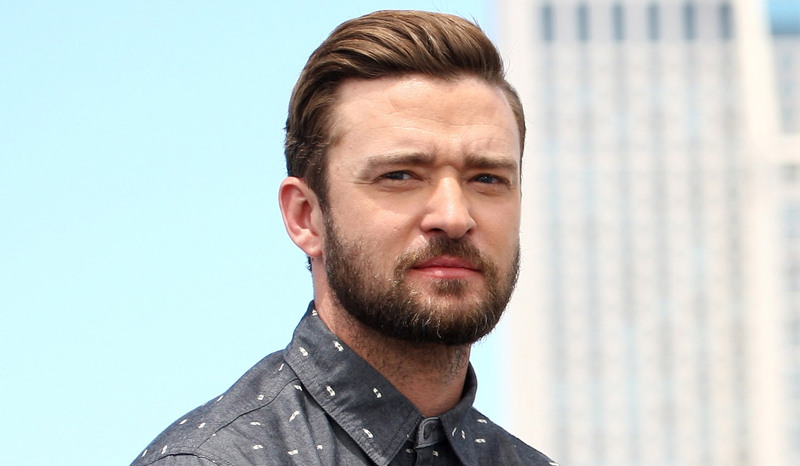 Make It Up To You – This next one’s a piano ballad. It’s the only song on the record without any percussion. I had the basic idea kicking around for a few years but wrote most of the lyrics and finished the song a couple months ago on a weekend when my wife and kids were out of town. We didn’t have a fight or anything but I wrote the song from the perspective of someone who had been in a fight and was waiting in their empty house for their loved one to come home. Life Support – This next song is an electronica based song. I entered a contest a couple years ago put on by the podcast Song Exploder and the website Splice, where I was given a series of recorded samples or audio clips and tasked with building a song around it. This is what I came up with. It’s written from the perspective of someone with cancer who is about to die. I wasn’t going to put it on the album originally because the sound is so different from everything else but when I listened to it in sequence with the other songs, I liked having the variety in there so it made the cut. Little Bird – This next one is another folk rock song. It’s built on kind of an off beat picking pattern, which is grounded with the kick drum playing constant quarter notes. The lyrics are from the perspective of someone having heavy social anxieties and trying to work through those issues about whether they are good enough and what other people think of them and finding hope. Only In Your Head – This next song is built around a piano part I came up with a few years ago. It’s gone through a few different iterations but where I’ve landed, there’s quite a few layers of piano parts and synthesizers, adding lots of texture to the overall sound. It gets pretty dense. It’s written from the perspective of someone wrestling with reality and with the what’s being told to us by the media in all it’s different forms. I Get By – This next one is a really old song I wrote back in 2005. My band at the time, Declaration, played it a few times but then it sort of got abandoned. Probably because I couldn’t hit the high notes very well. In 2012, I dusted it off for my 50 Songs in 50 Weeks in project and recorded a soft version with drum loops and synthesizers. 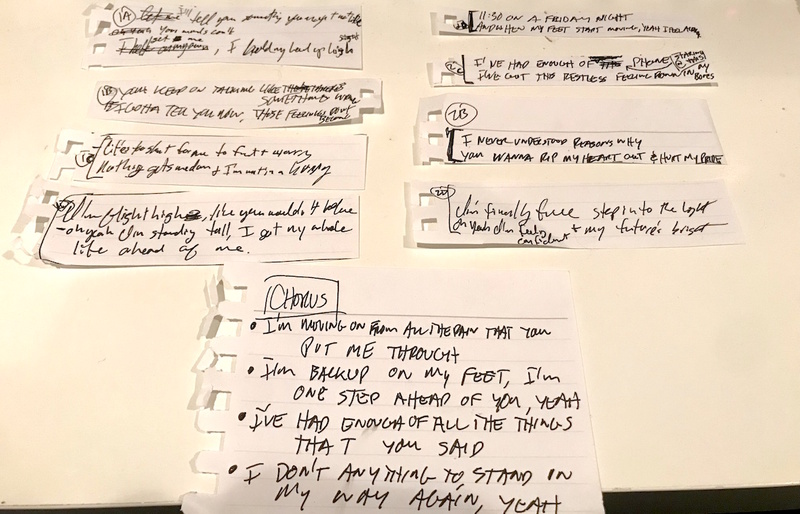 When I got to thinking about what songs should belong on this album, I took a stab and making a rock version like the way I used to play it with the band. It’s kind of a dated 90s rock sound but at this point, I don’t really care. I think it’s pretty catchy. It’s about working through your problems and staying optimistic. Brand New Life – For this last song, I decided after so many intense songs that I wanted to end the album on a positive, upbeat note. It’s also probably the most recently written song. It’s about being in love and proposing. I wrote a different love song and played it at our wedding about 12 years ago but I didn’t really think it was that great. So, this is my attempt at writing a better wedding song and I think it definitely tops the first one, at least. If you happen to be a filmmaker or music supervisor, I’d love to have one or more of these songs in your projects. I have instrumental mixes available. Contact me to licensing details. Support this podcast through Patreon. Stay tuned next week where I’ll share my top ten favorite albums of 2018. Bye for now. It’s now September and summer is wrapping up. I hope you’ve had a good summer. It’s certainly been a busy one for me. I’ve played quite a few shows, including some weddings. 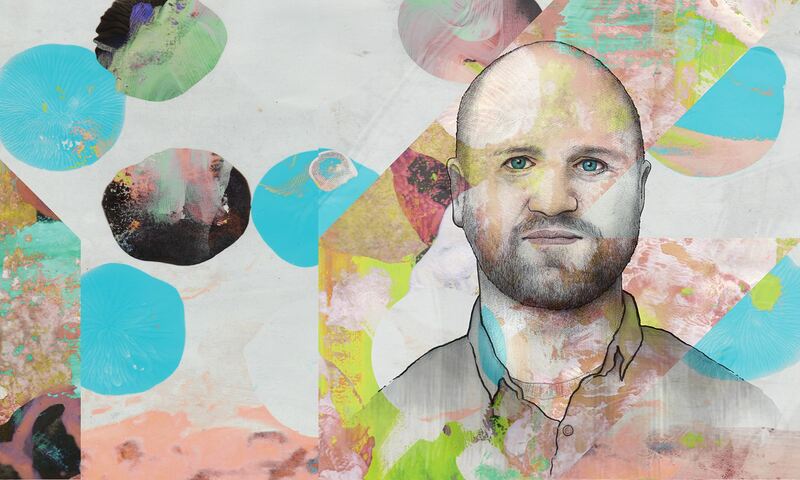 I’ve also been working on some new songs for an album and have some new podcast episodes in the pipeline so stay tuned for both of those things. 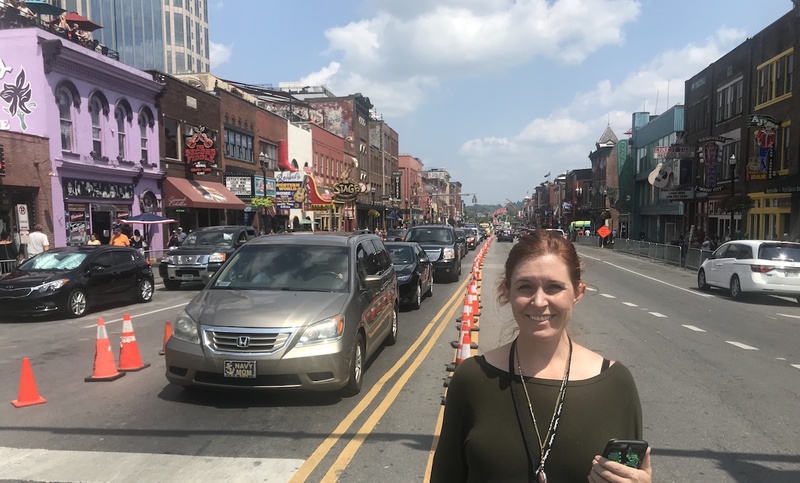 I also recently got back from an awesome trip to Nashville, including a stop in Memphis. 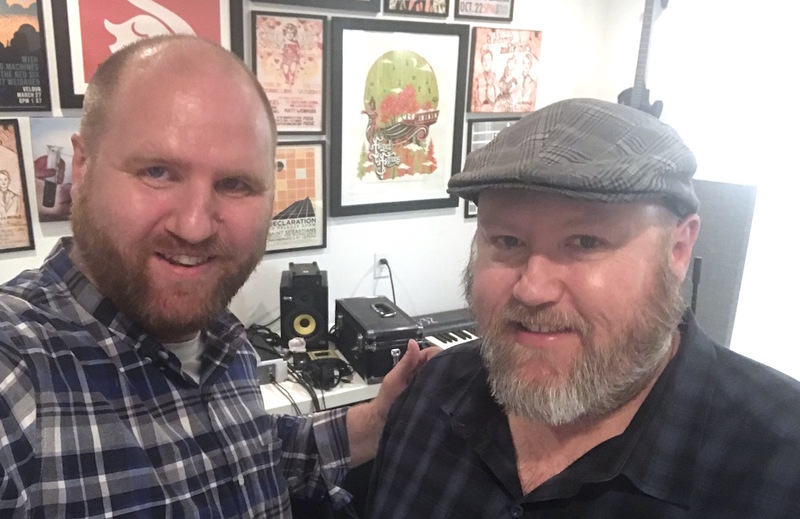 It was my first time going so I thought I’d break things up from the usual format of this podcast and talk about some of the things my wife and I saw and did while I was there and sprinkle in some music along the way. I came up with a top ten list so let’s start the countdown in order of least to most on how much I enjoyed each of these things. Pictures my Melissa Dupree Haws and myself. This is a famous strip in Memphis known for the live blues music played inside it’s many clubs. Over the years, it’s hosted several famous acts like Louis Armstrong, Muddy Waters, and B. B. King, to name a few, and the combination of all the different musicians who played here helped develop the style known as the Memphis Blues. When we showed up, it was in the afternoon so there wasn’t a lot of music happening besides a really awesome blues band playing outdoors. We did hang out inside a shop called A. Schwab, which was sort of a curiosity shop, variety store. They had an old-fashioned ice cream and soda bar with homemade gelato. We had banana pudding gelato, which was delicious. Overall, I can’t say I was crazy about Beale Street. It felt a little bit touristy but also kind of gritty with things kind of run down and some of the stores boarded up. We weren’t sure how safe it was to be there. This was one of the last things we did on our trip and we were pretty tired, so we went back to our hotel before most of the evening shows started. So we probably didn’t give it fair shot but it was still nice to check it out. Here’s a little B.B. King for you to get in the Memphis mood. This is an historic antebellum southern style 19,000 square foot mansion built in 1853 by the wealthy Adelicia Acklen along with her husband, Joseph. At one point, Adelicia was the wealthiest woman in Tennessee and spared no expense decorating her home as lavishly as possible. The mansion housed a large collection of european art , including several marble statues; as well custom built furniture, several large marble fireplaces, and the stained glass windows containing actual gold. 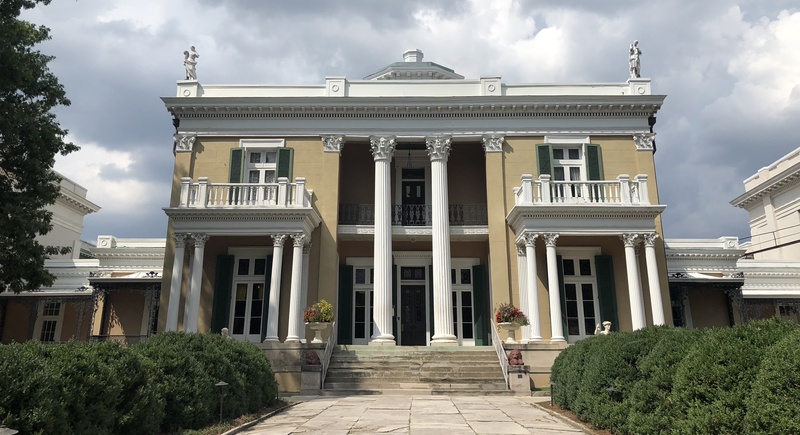 Eventually, the mansion and estate were donated and turned into a college that evolved into present day Belmont University. It was a blast to tour the mansion and mix something historic into our music trip. This is the famous Memphis home of Elvis Presley. He purchased it in 1957 pretty early on in his career right after he had the hits “Heartbreak Hotel” and “Hound Dog.” Over the years, he made additions to the space like adding a swimming pool, a detached office for his business dealings, a racquetball room and a large trophy room for all his awards, which brought the square footage from about 10,000 to 17,000. 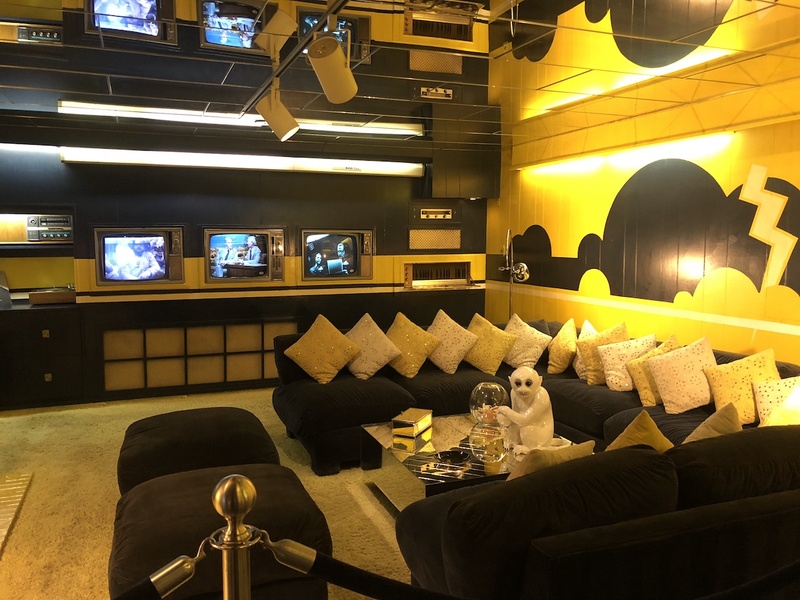 After he died, they opened the home up for tours, and kept things pretty how they were in the late 70s, including the really colorful, retro wall paper and jungled themed shag carpet in some areas. The upstairs where he died is closed off to visitors and his grave is also located on the estate. The audio tour was narrated by John Stamos, who as you may know, played Uncle Jesse, a huge Elvis fan, in the TV show Full House. I thought it was kind of a fun touch. 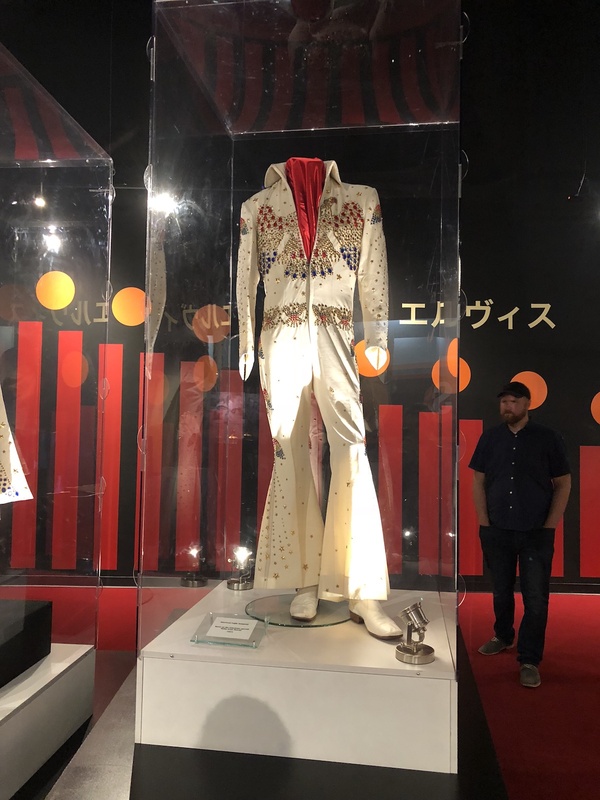 Across the street, they had a large museum, which housed his car collection, his many jumpsuits, gold records and many, many other pieces of memorabilia. 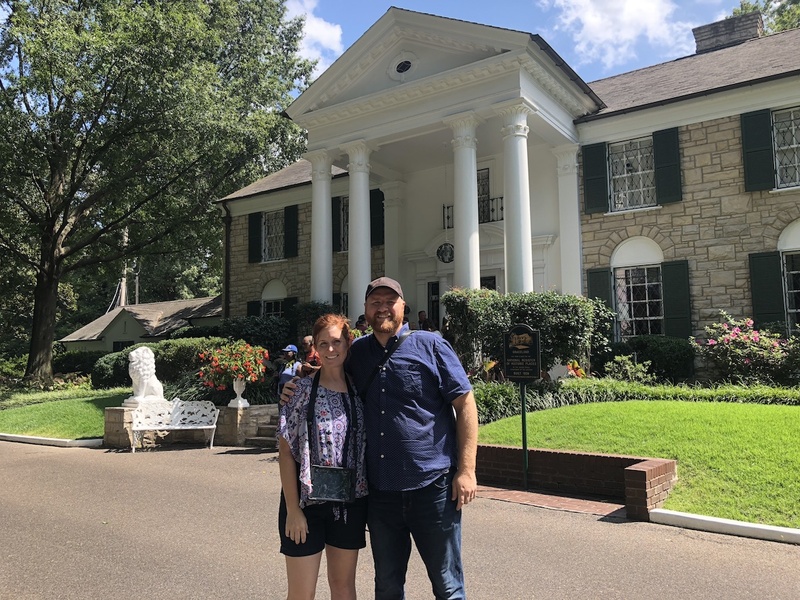 I’m not a huge Elvis fan but I still had a blast learning about him and seeing all the people and things that surrounded his life. 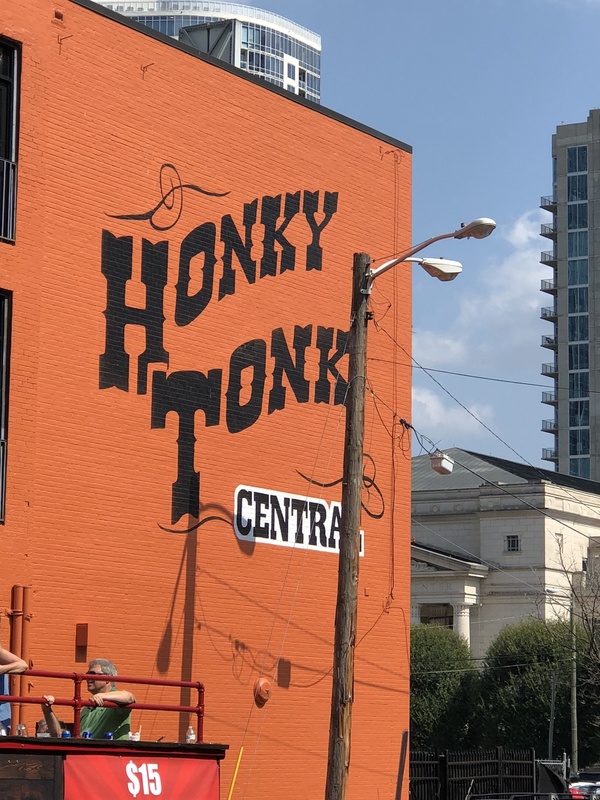 This is a famous stretch of town known for live music at the many honky tonk bars and restaurants located here. Many of them have neon signs, reminiscent of old school Las Vegas. In fact, people sometimes describe it with the term “Nash-Vegas” because of the neon signs but also the touristy, party vibe found here. In fact, we walked past several different groups of girls in matching t-shirts having bachelorette parties. It was quite a site. Despite this, it’s still a great place for music. You can walk from place to place and here some kind of country music going on all day long. We mostly hung out at a famous spot called “Robert’s Western World,” and heard some amazing, fast picking tunes. We also stepped inside a few shops that sold country boots and hats and a few gift shops. It was fun but it got to be sensory overload after a while so I’d recommend doing it in small doses. Here’s one of the acts we saw while we on Broadway, Rachael Hester. 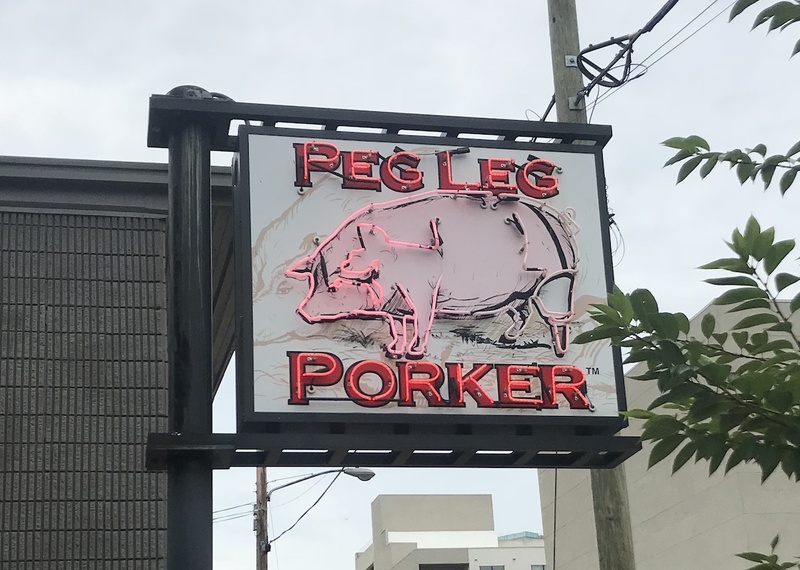 We asked around for places to get good barbecue in Nashville and two of the spots that we ended up going to were Martin’s and Peg Leg Porker. 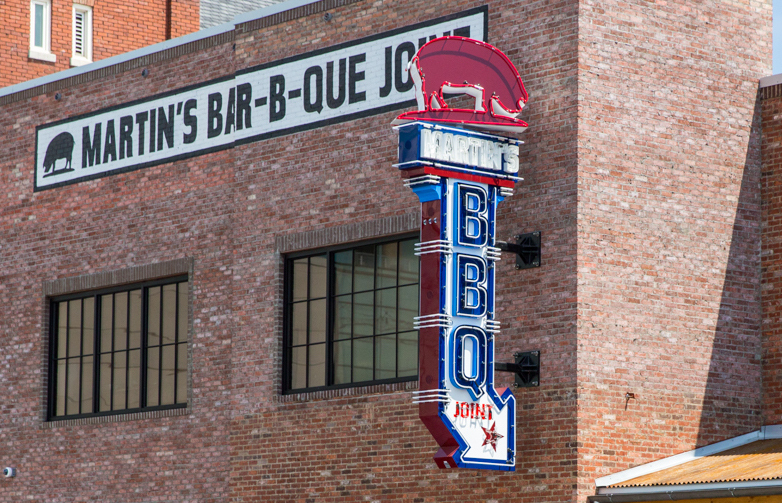 The ribs at both of these spots where delicious. If I had to choose which one I liked better, I would probably pick Martin’s. The meat was a little more tender and had a really nice, smokey flavor. Their BBQ sauce was really unique, in that it was very thin and heavy in vinegar. It caught me off guard at first but I really liked trying a different flavor. As far as sides, I think I liked Peg Leg Porker a little better. I had mac and cheese and baked beans and they were both awesome. Really flavorful and the cheese was really gooey. At Martin’s, I also had their pecan pie, which is probably the best I’ve ever had. Really tasty. My wife and I each liked our slice of pie so much, we both ordered another one to go for our bus ride to Memphis. So, overall, great food. I’d recommend either of those spots if you’re ever in town. Success is very much about building relationships. This could be with your fans, with fellow musicians, with people in the industry. One person suggested taking 20 minutes each day build relationships with people you admire and to not ask them for a favor until you’ve known them for 2 years. Approach it from a place of authenticity and how you can be of service to them, opposed to trying to just use other people for your gain. Another takeaway regarding live shows is to create moments. By that, I mean that as a performer, you are trying to get your audience to feel something, to feel an emotion. Throughout your set, you want to try to tap into as many of these different emotional moments as you can. It could mean creating a good groove to get your audience dancing, or adding extended guitar solos for more excitement or getting the audience to sing and clap along so they feel part of something bigger or, telling stories about the songs so the audience has a better connection to the words. Whatever it is, try to create moments. One last takeaway is to make sure to have an overall vision of where you want to be and set weekly goals and tasks to help get you there. One of the speakers spoke about self-sabotage and how often we can get in our way with thoughts about not being good enough or getting overwhelmed. She suggested identifying whats slows you down, and changing the story, meaning looking at it with a different attitude and focusing on the good things that are working and build off of those. 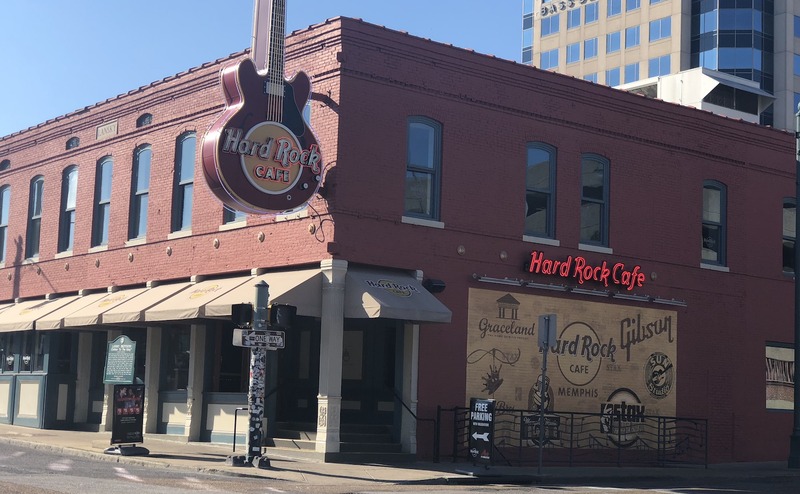 This Nashville institution was started in 1925 as a weekly concert and radio show. 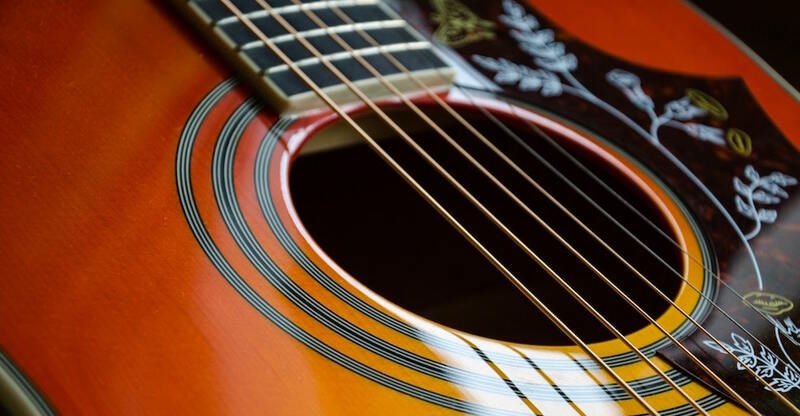 Known as “The Show the Made Country Music Famous,” it’s hosted early country stars like Hank Williams, Johnny Cash, and Patsy Cline and pretty much every single country artist you’ve ever heard of since. Each concert operates something like a variety show, where each artist performs 2 songs, often with the same backing band. I was surprised with the amount of different country styles I heard; from fast picking bluegrass, to folk rock, to piano ballads, to more a traditional mainstream country type of sound. 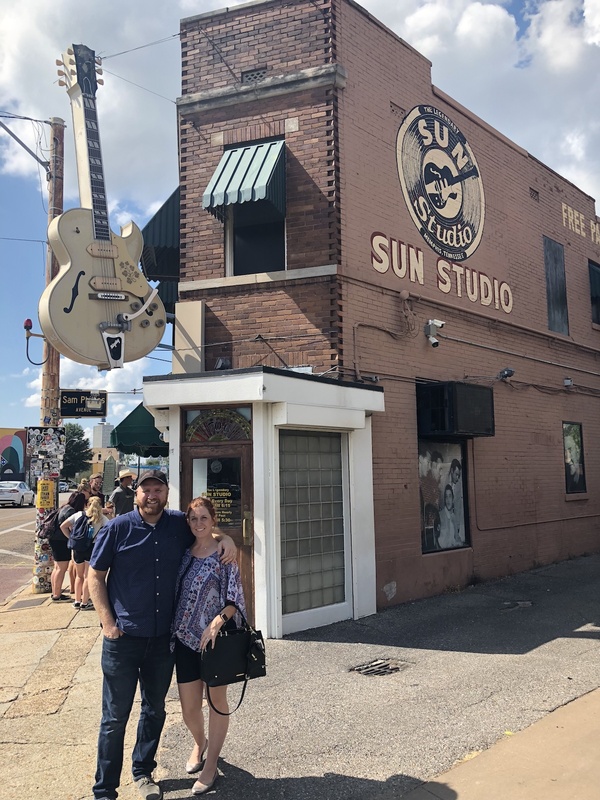 This is famous studio in Memphis where, among others, Elvis Presly, Johnny Cash, Carl Perkins, and Jerry Lee Lewis all recorded. 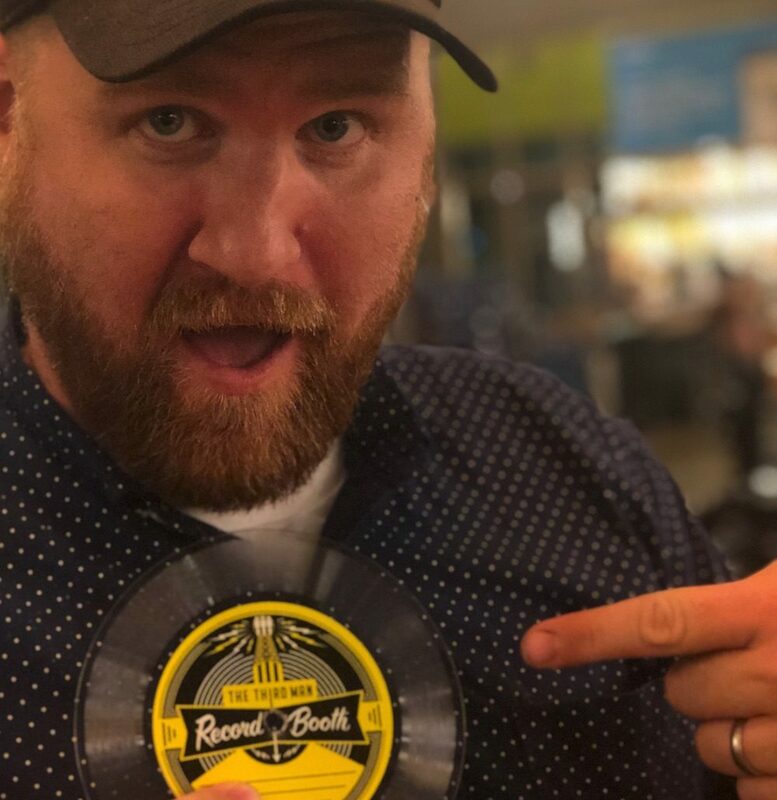 Originally called Memphis Recording Service, it was started by Sam Phillips in 1950 and became the place where the artists on his label, Sun Records, recorded. If you’ve seen the movie, Walk The Line about Johnny Cash, they filmed scenes from the movie in this studio where they actually occurred in real life. Sam ran the studio until 1960 when he upgraded to a larger space, and the building was taken over by businesses who used it for other things. In 1987, the building was turned back into a studio and luckily, the part of the building used as a studio was largely untouched over those years in between. They give tours during the day (which we went on), and in the evening have recording sessions, which I was tempted to do myself but couldn’t make it work. Maybe next time. 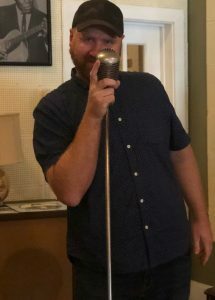 While on the tour, I got to hold and talk into one of the mics they originally had in the studio, which they believe was used by Elvis and many of the other famous artist who recorded here. Here is Elvis’ first hit, “That’s All Right (Mama),” recorded at Sun Studio. Started back in 1982, this legendary, intimate space is a place for songwriters to showcase their latest work. It’s not a particularly remarkable or historical building; it’s located outside of downtown on an ordinary strip mall next to a dry cleaners and gas station. But many, many artists and songwriters have been discovered here from Garth Brooks back in the 80s to more recently, Taylor Swift. It’s been heavily featured on the TV show, Nashville and with only 90 seats, it’s incredibly difficult to get tickets. To give you an idea, I’ll tell you about our attempt to get in. Tickets go on sale on their website each Monday morning at 8am for the shows happening that week. I went on their website 15 minutes before that (which would be 6:45 Mountain Time). I pushed a button to buy tickets and I was put in a queue. By 8:05 when my turn came up, all the tickets were sold out for that week. They do, however, leave about 12 seats open for first come, first serve on the night of the show, as well give up the seats for people that don’t show up. 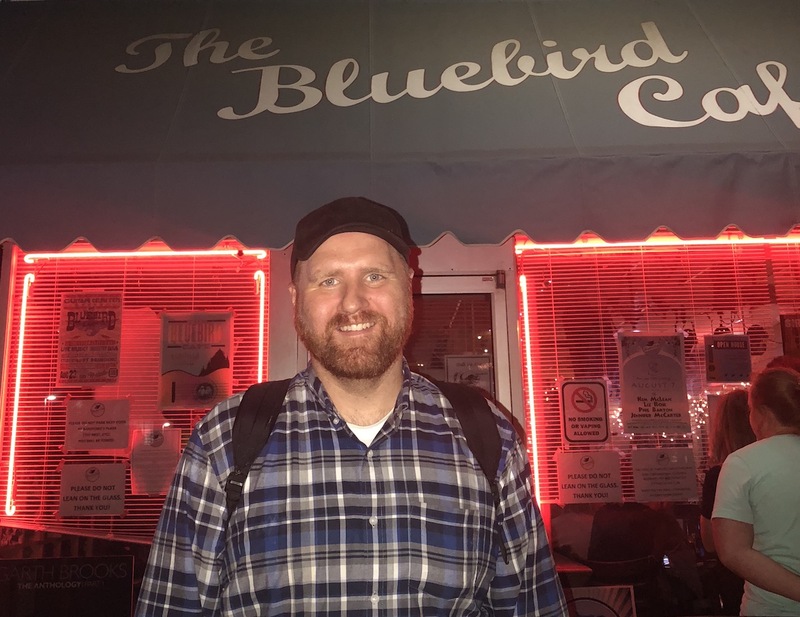 So, on Thursday night when we flew in, we took a taxi from the airport straight to the Bluebird Cafe. We got in the standby line and waited about an hour and half and we were a couple people short from getting in. 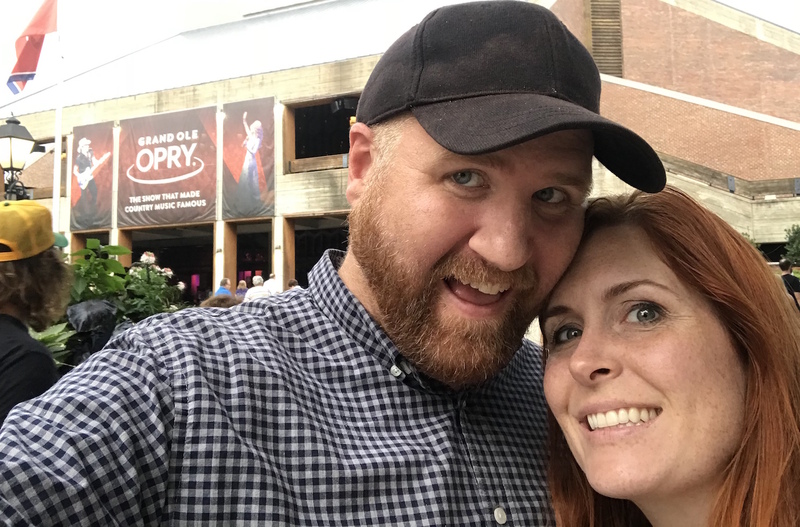 Since we really wanted to see a show at the Bluebird, we came back on Saturday as early as we could and waited in line for 2 hours this time. And luckily, we barely got in. We were the very last 2 people they let in and they had to sit us at separate tables but we were just really to get in so it didn’t matter. 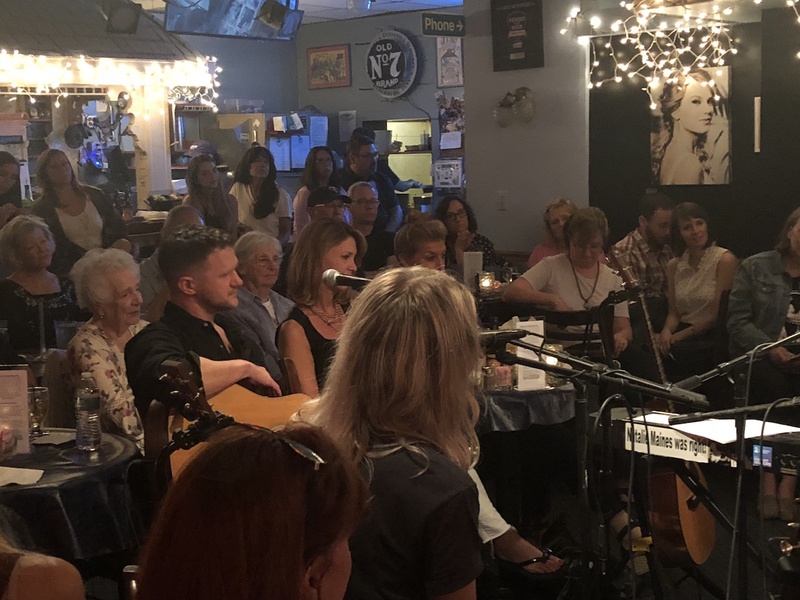 Most of the shows that happen at the Bluebird are what they all “In The Round,” which means that a group of songwriters sit in the middle of the room and take turns playing songs and telling stories. This was the format of the show we saw, which included Michael Logen, Billy Montana, Alys Ffion, and another person who’s name I didn’t catch. They were all very seasoned, established songwriter (some younger, some older) and I was really impressed with depth and quality of the songs they played. It was so awesome and definitely worth all the effort and waiting to see the show. This is a record label and store started by Jack White (of the White Stripes) back in 2009. The decor is very retro with almost everything in yellow and black. 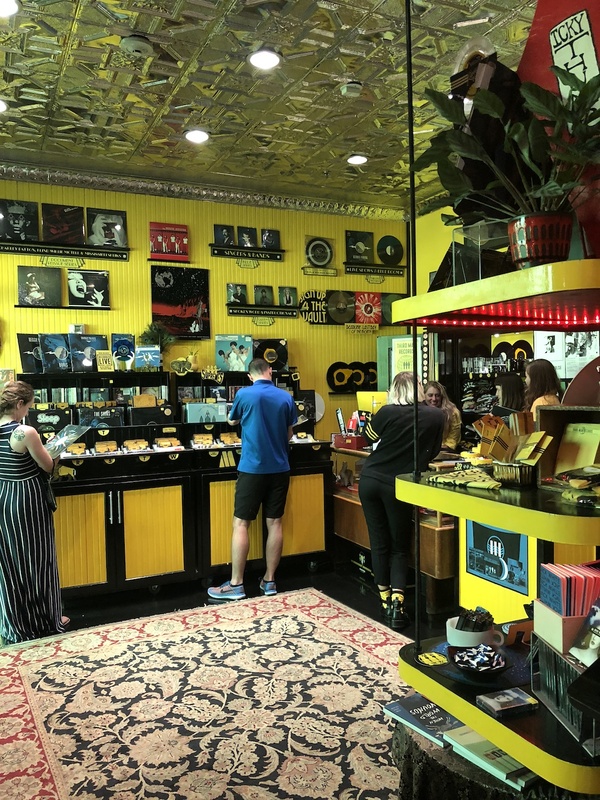 They specialize in vinyl records and sell a lot of Jack’s music, along with other albums and singles the label puts out. But one of the really interesting and unique things you can do while you are there is to lay down a song in their vintage vinyl recording booth. I learned that it was built back in the 1940s and was used for people to create voice messages to send back home, particularly soldiers abroad. You put your money in and it gives you two minutes and twenty seconds to record and it spits out a 6″ vinyl record almost right away! This booth is one of a few operating ones left in existence. 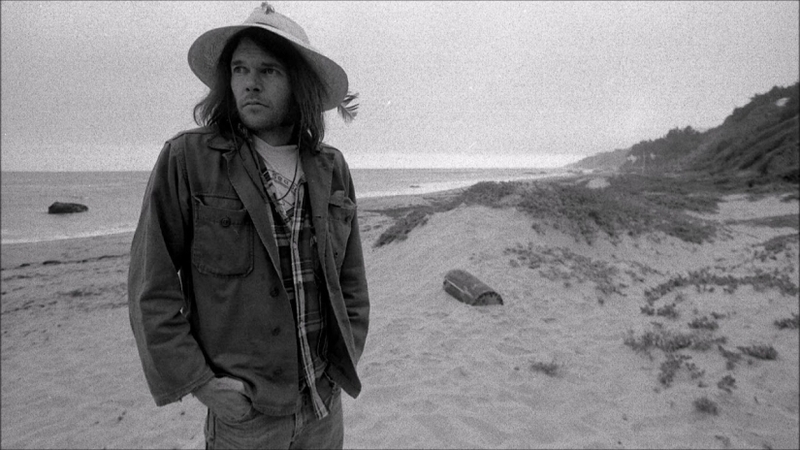 Neil Young used it to record an entire album a few years ago, and many other famous musicians have come through to record a song on it including Willie Nelson, Eddie Vedder and Weezer to name a few. 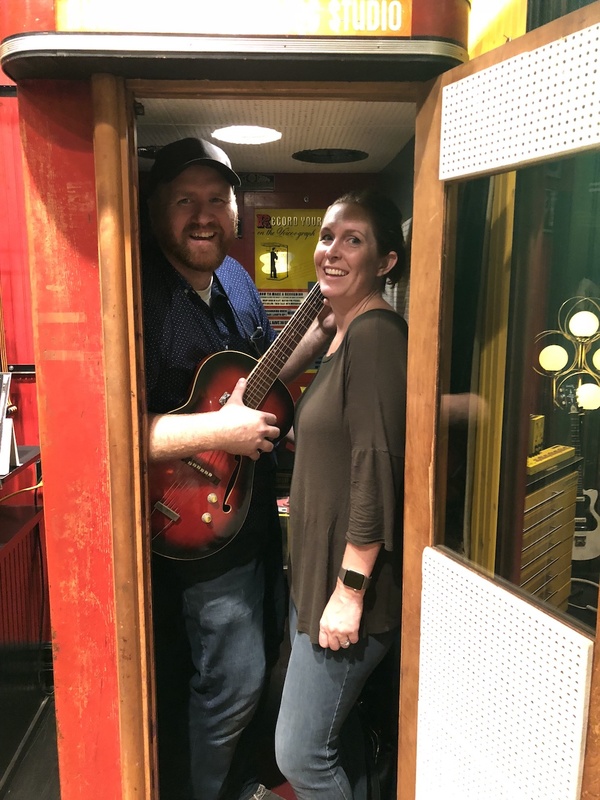 My wife and I had the privilege of recording a couple songs in the booth – with a loner guitar owned by Jack White, if you can believe that! I’d also like to add that if you are a musician working on songs and would like some feedback, I’d be happy to give my input. Shoot me a message from the contact section of jakehaws.com and I’ll feature your song on a future episode and give my feedback. Or I can give it to you privately if you’d prefer it that way. 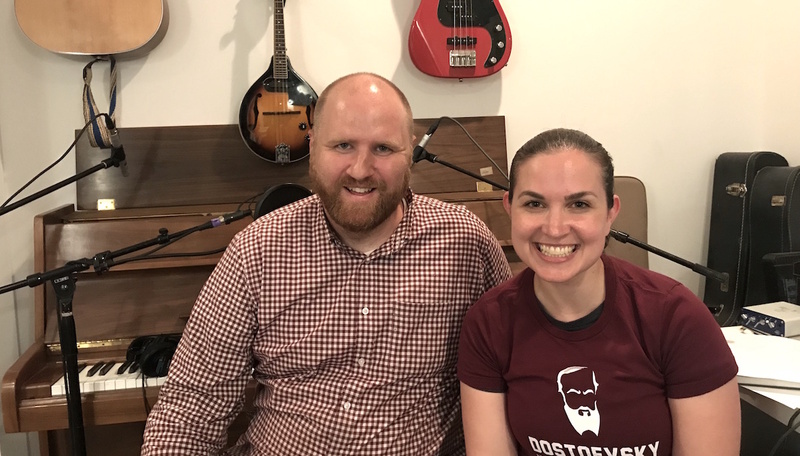 This episode, I’m joined by music therapist, Emily Sanderson. She performs a few tunes and talks about her career in providing therapy through writing songs and performing music with her patients. We even write a song together as if I was a patient! It’s a fun and informative episode you’re sure to enjoy. For this week’s episode, I’m sharing a cover I recently recorded of Neil Young’s song, Harvest Moon. I’m playing a wedding later on this summer with my acoustic duo, The Fab Folk, and the bride requested that we play this song for her and the groom to dance to. I wanted to record it for her so she would have an idea what it would should like before we play it. The instruments are sparse: just acoustic guitar, mandolin, cajon and tamborine. I think it’s a great tune for a wedding and I’m excited to perform it for them. 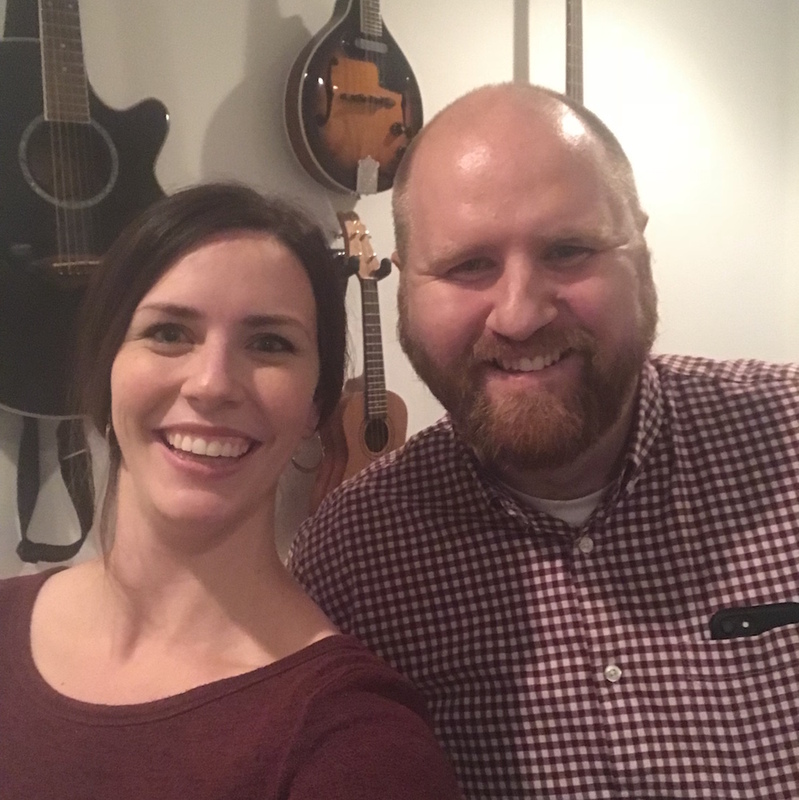 I’m joined this episode by singer/songwriter, Kimberly Knighton. 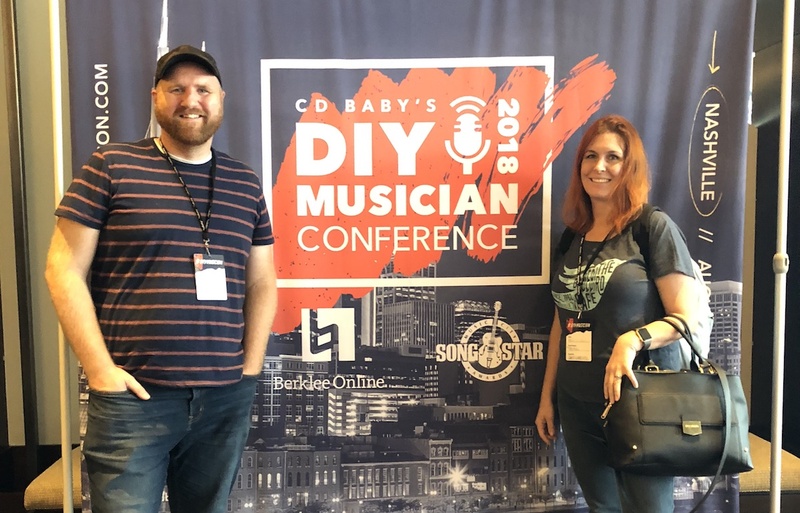 We talk about how she got started playing music, including taking songwriting classes, her time in Nashville and finding her voice as an artist. She performs the songs: Better Now, The ABCs, and We Don’t Have To Save The World. For the recording, Severin played the synth parts and sang lead vocals. I programmed the drum machine, added harmony vocals, a tambourine, handclaps, and a synth noise pad. Thanks for listening to my music podcast!